Autumn has well and truly arrived. 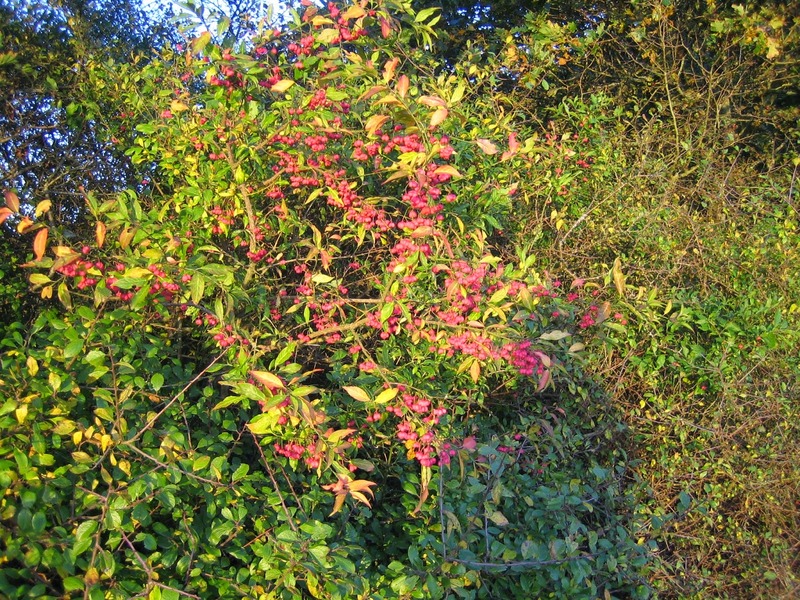 The trees are shedding their leaves and the berries are out.on the hedgerows. The kestrel has been hunting in the fields again this week, perching on the electricity pole as it habitually does, and seems to have been catching prey. From a stationary high-hover, in its distinctive way, I saw it step its way down to just above the ground, before finally falling from above onto its target. 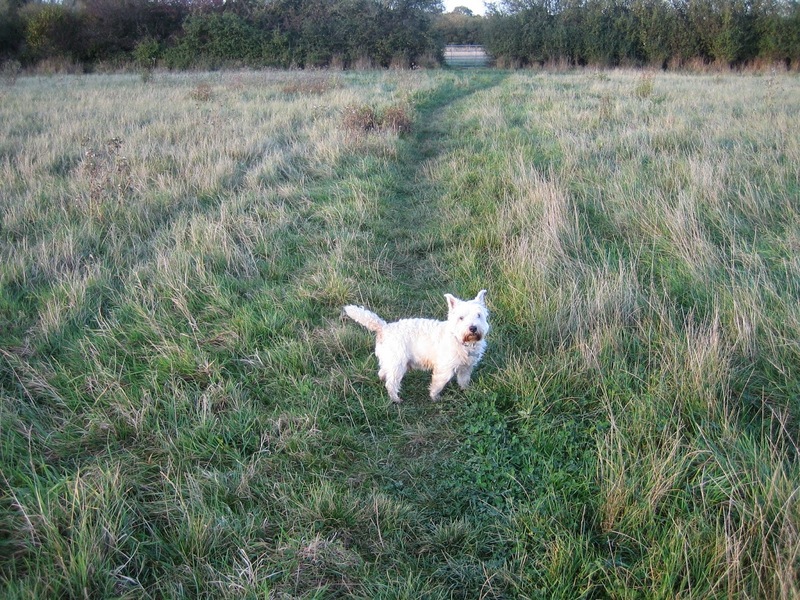 Dog walkers have been out in force in the fields now that the several days period of rain has passed - not that the rain puts the dogs off! I'm keeping a sharp eye out for the kingfisher that I have seen tracking along the Herring Stream, most usually glimpsed as a blue irridescent dart in rapid flight close above the water. There are plenty of perch points for the kingfisher provided by the bushes and small trees growing on the stream banks.